"Historic" students had a 100 percent pass rate for national board exams. 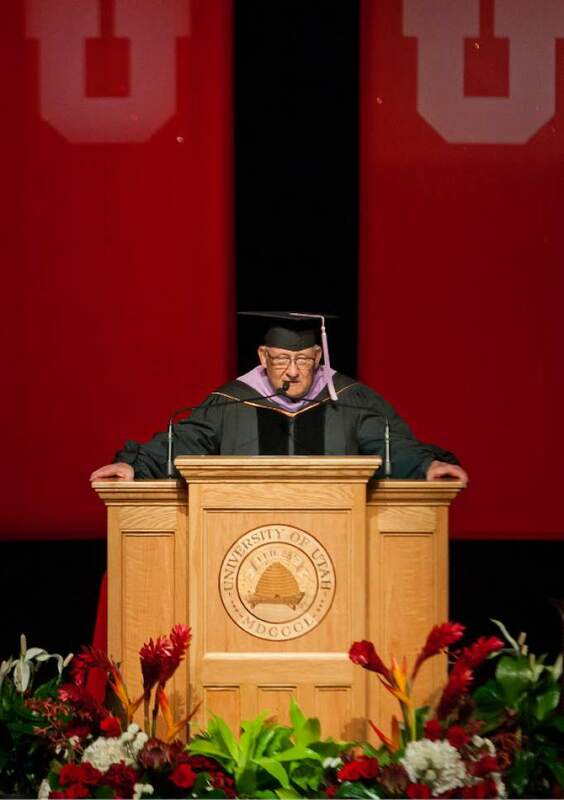 Michael Mangum | Special to the Tribune State Sen. Peter C. Knudson speaks during the University of Utah School of Dentistry inaugural commencement ceremonies at Kingsbury Hall on Saturday, May 20th, 2017. Michael Mangum | Special to the Tribune Utah Gov. 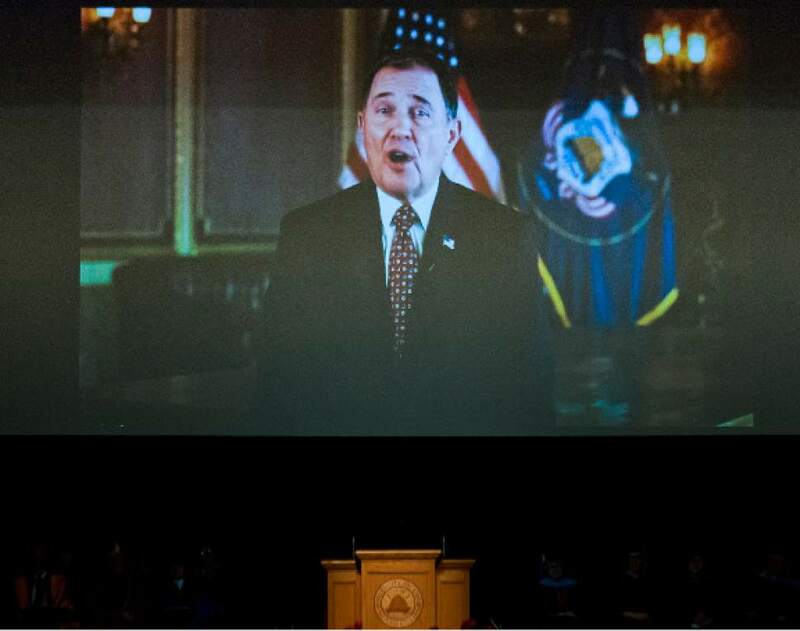 Gary Herbert gives remarks via recorded address during the University of Utah School of Dentistry inaugural commencement ceremonies at Kingsbury Hall on Saturday, May 20th, 2017. Michael Mangum | Special to the Tribune Kathryn Cameron receives her doctoral hood during the University of Utah School of Dentistry inaugural commencement ceremonies at Kingsbury Hall on Saturday, May 20th, 2017. Michael Mangum | Special to the Tribune Wyatt R. Hume, Dean of the University of Utah School of Dentistry, speaks during commencement ceremonies for the inaugural class at Kingsbury Hall on Saturday, May 20th, 2017. Michael Mangum | Special to the Tribune Rachel Smith receives her doctoral hood during the University of Utah School of Dentistry inaugural commencement ceremonies at Kingsbury Hall on Saturday, May 20th, 2017. 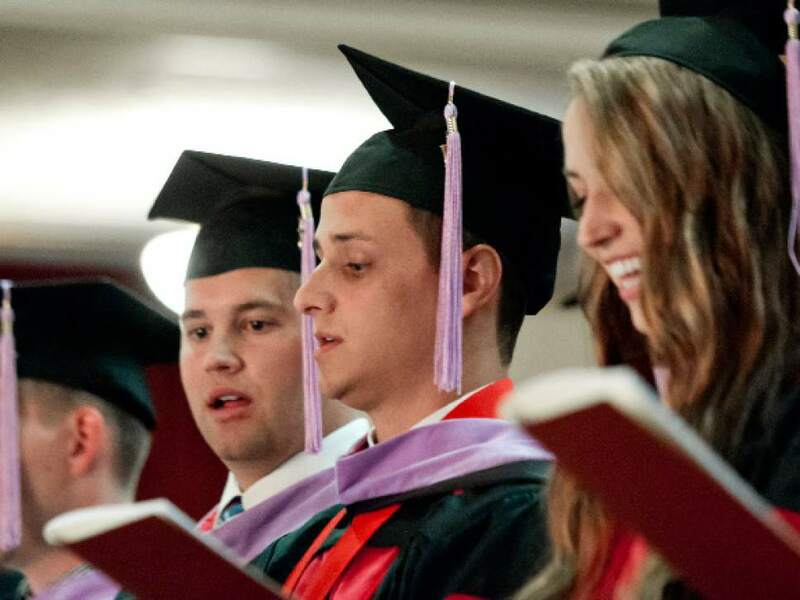 Michael Mangum | Special to the Tribune Graduating students recite the Oath of Hippocrates during the University of Utah School of Dentistry inaugural commencement ceremonies at Kingsbury Hall on Saturday, May 20th, 2017. 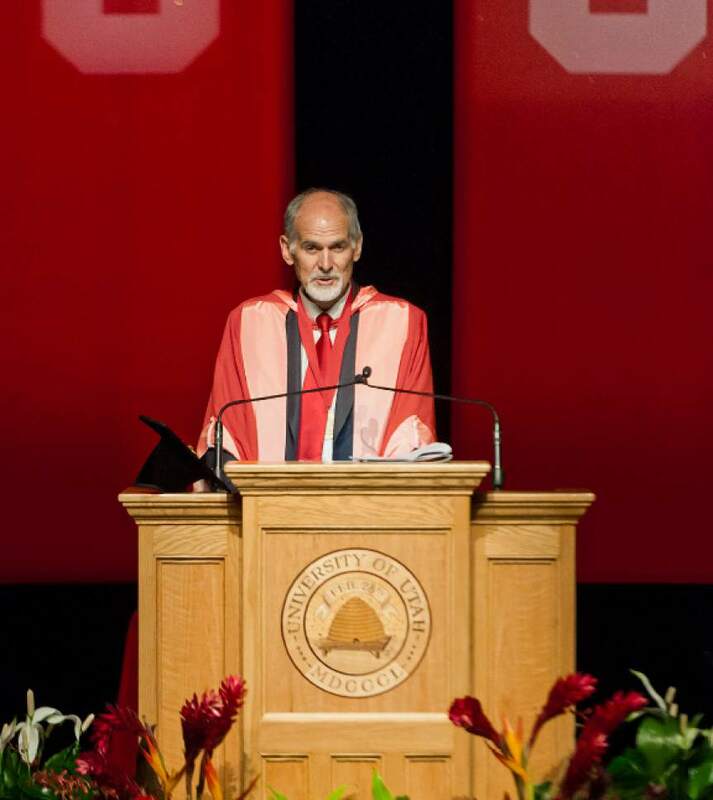 Michael Mangum | Special to the Tribune State Sen. Peter C. Knudson speaks during the University of Utah School of Dentistry inaugural commencement ceremonies at Kingsbury Hall on Saturday, May 20th, 2017. Michael Mangum | Special to the Tribune Wyatt R. Hume, Dean of the University of Utah School of Dentistry, right, welcomes Utah Attorney General Sean D. Reyes to the podium during the University of Utah School of Dentistry inaugural commencement ceremonies at Kingsbury Hall on Saturday, May 20th, 2017. 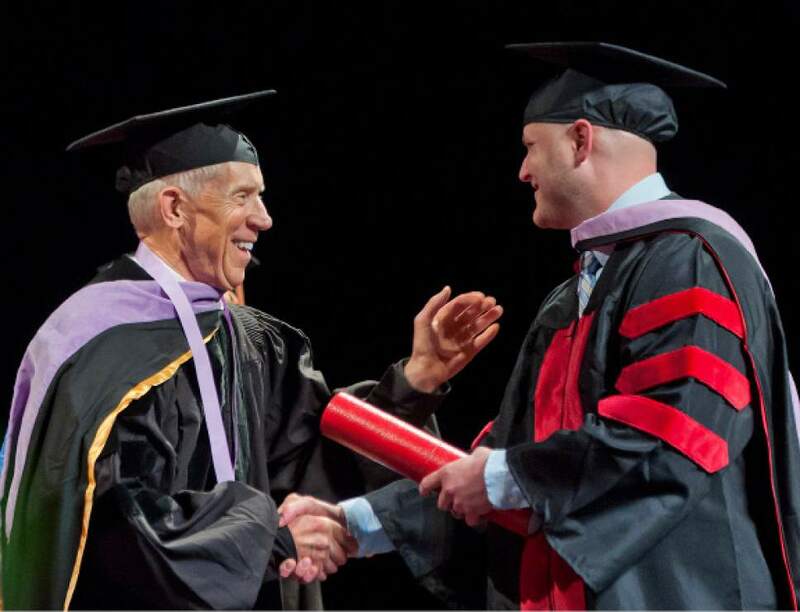 Michael Mangum | Special to the Tribune Associate Dean Glen R. Hanson presents Colby Broadbent with his diploma during the University of Utah School of Dentistry inaugural commencement ceremonies at Kingsbury Hall on Saturday, May 20th, 2017. 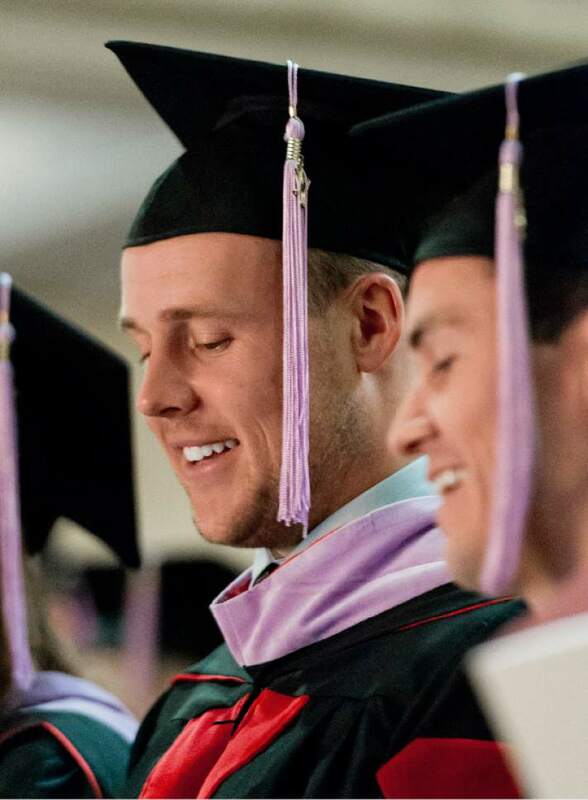 Michael Mangum | Special to the Tribune Graduating students recite the Oath of Hippocrates during the University of Utah School of Dentistry inaugural commencement ceremonies at Kingsbury Hall on Saturday, May 20th, 2017. 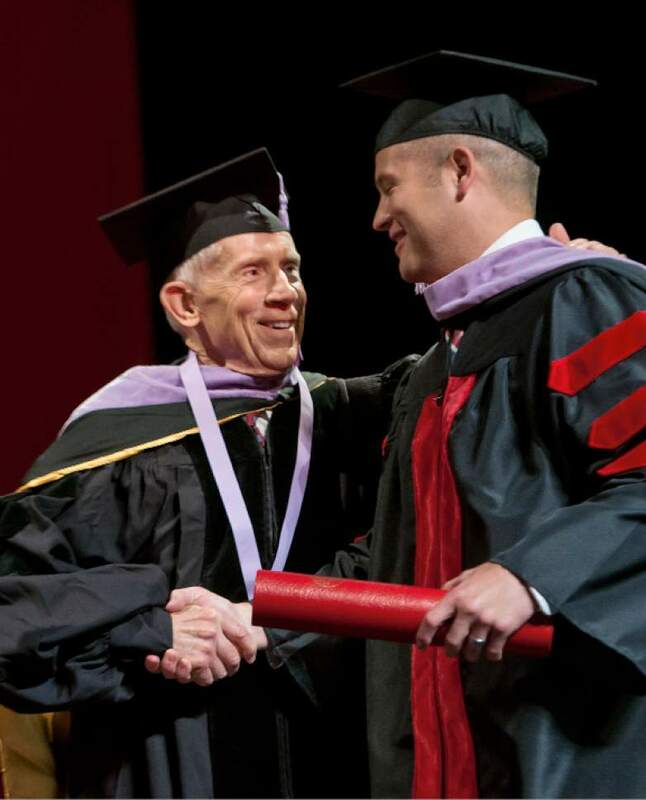 Michael Mangum | Special to the Tribune Associate Dean Glen R. Hanson presents Brett Kocherhans receives his diploma during the University of Utah School of Dentistry inaugural commencement ceremonies at Kingsbury Hall on Saturday, May 20th, 2017. 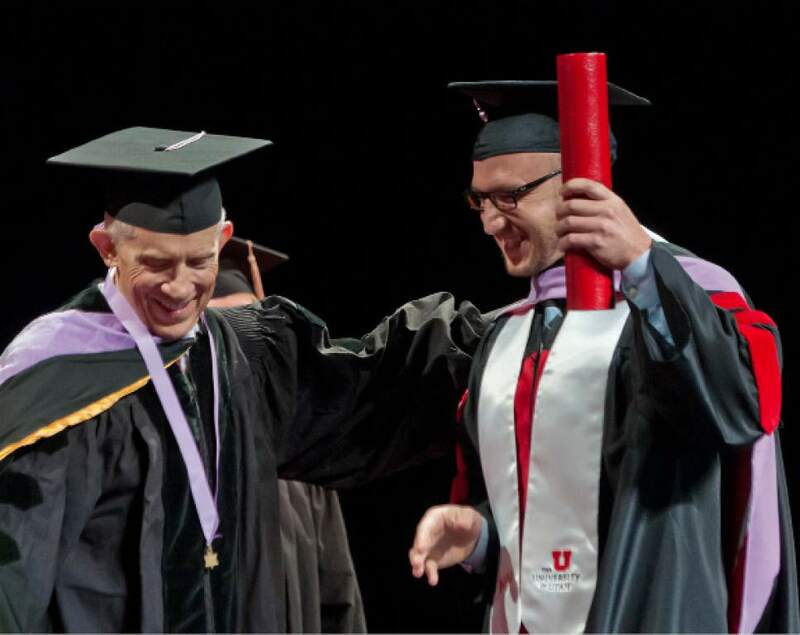 Michael Mangum | Special to the Tribune Associate Dean Glen R. Hanson presents Gabriel Dickes with his diploma during the University of Utah School of Dentistry inaugural commencement ceremonies at Kingsbury Hall on Saturday, May 20th, 2017. 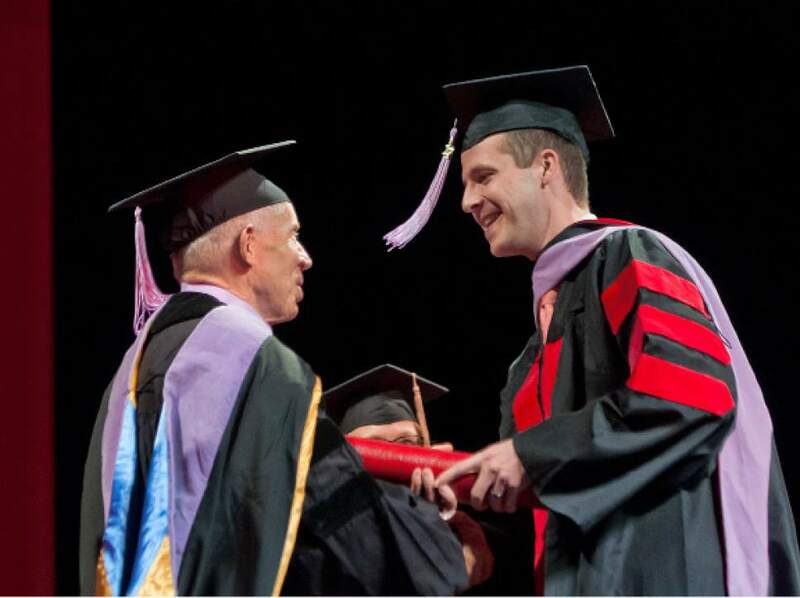 Michael Mangum | Special to the Tribune Associate Dean Glen R. Hanson presents Daniel Hoopes with his diploma during the University of Utah School of Dentistry inaugural commencement ceremonies at Kingsbury Hall on Saturday, May 20th, 2017. 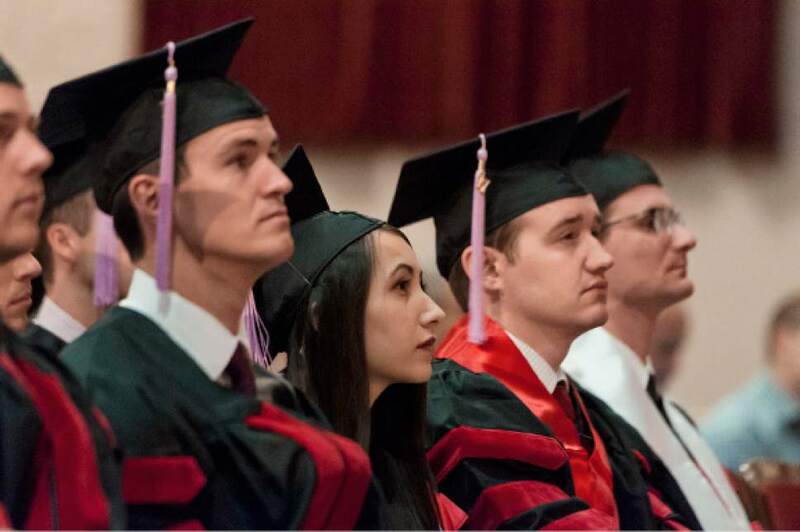 Michael Mangum | Special to the Tribune University of Utah School of Dentistry students listen to the keynote address during the school's inaugural commencement ceremonies at Kingsbury Hall on Saturday, May 20th, 2017. 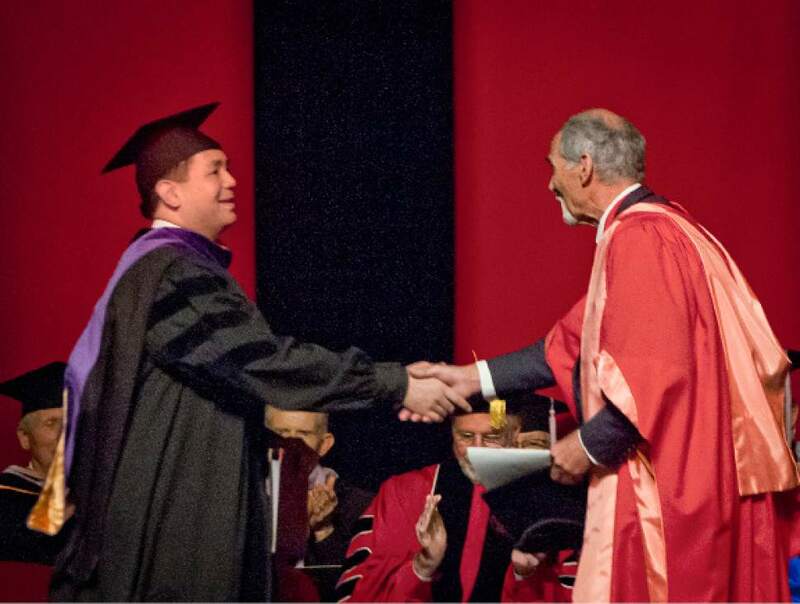 Michael Mangum | Special to the Tribune Utah Attorney General Sean D. Reyes delivers the commencement address during the University of Utah School of Dentistry inaugural commencement ceremonies at Kingsbury Hall on Saturday, May 20th, 2017. 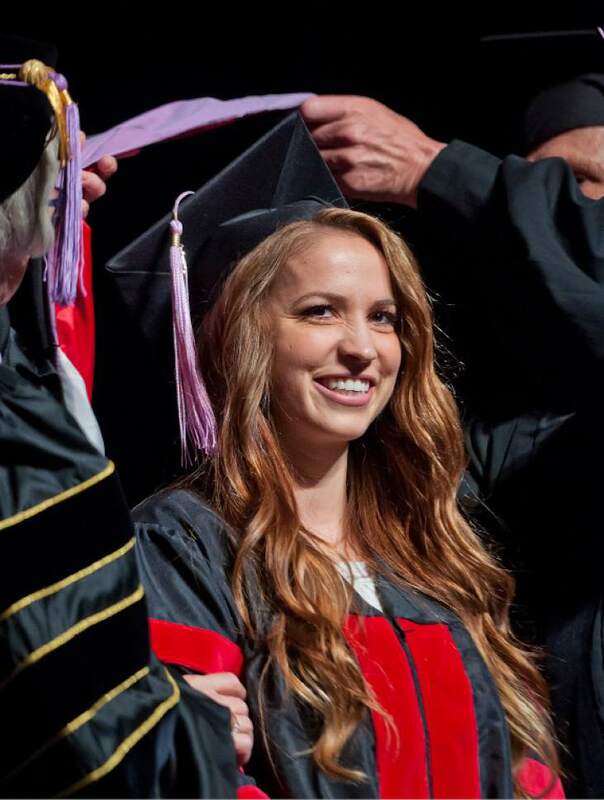 Tears streamed down Rachel Smith&apos;s face as she paid tribute to each of her fellow University of Utah School of Dentistry graduates at Saturday morning&apos;s commencement ceremony. 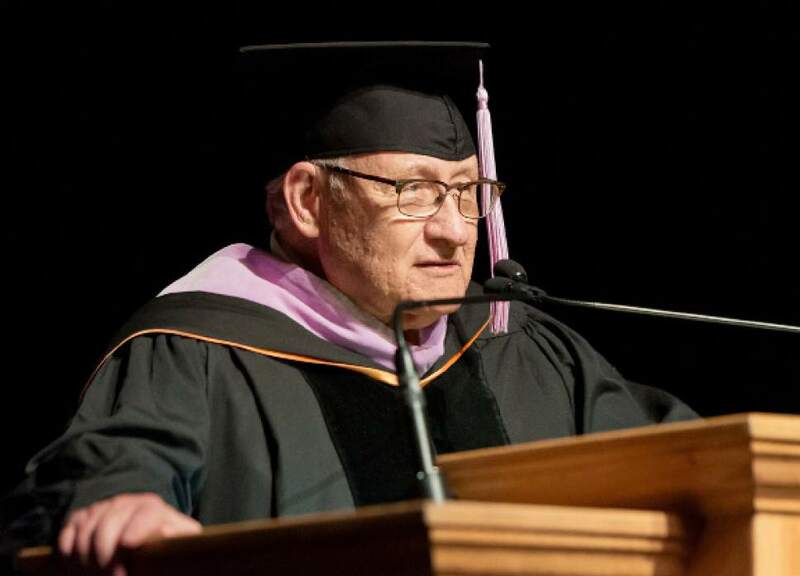 Smith described inside jokes among students and faculty, challenging course work and human bonds that could not be matched  while thanking the school&apos;s Director of Student Admissions Gary Lowder for putting the historic class together. 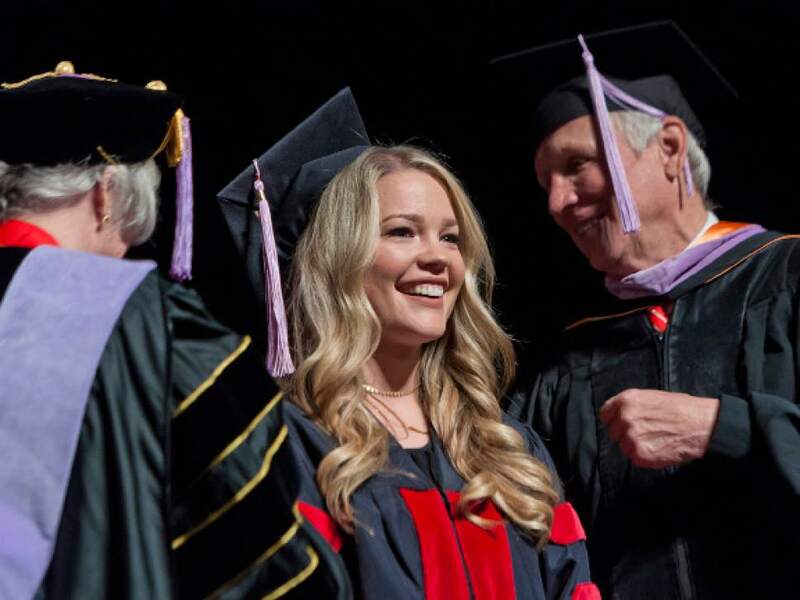 "I&apos;m not sure how Dr. Lowder and the selection committee did it, but I don&apos;t think they could have picked a better fit for the first class," she told her graduates, faculty, family and loved ones from the podium at Salt Lake City&apos;s Kingsbury Hall. "These have been the best years of my life and if you ask any of my classmates, they would tell you that their favorite part of dental school were the people that we met along the way," Smith said. She and the 19 other class of 2017 members were the inaugural graduates from the U.&apos;s School of Dentistry, the first new school or college added to the university in 50 years. The class had a 100 percent pass rate for the National Board Dental Examination and the Western Regional Examining Board and 13 of the graduates will continue their education through residencies and fellowships across the country. Before the dental school was created, the U. had a regional dental education program through the School of Medicine that began in 1980. Lynn Powell, founding dean of the school, said students once trained their first year at the U. before transferring to the University of Washington, and then later Creighton University in Nebraska for the remaining three years of schooling. The school secured approval from the U. and its initial American Dental Association accreditation in 2012. Students and faculty moved into the Noorda Oral Health Sciences Building in 2015, thanks to the $30 million donation from Ray and Tye Noorda and other contributions. Seeing the first class of U.-trained future dentists graduate the program is a dream come true for Powell. "It&apos;s great to see not just academic success, but their success as a group helping each other," Powell said. "There is camaraderie with the students and a very professional attitude that they extend to everyone." 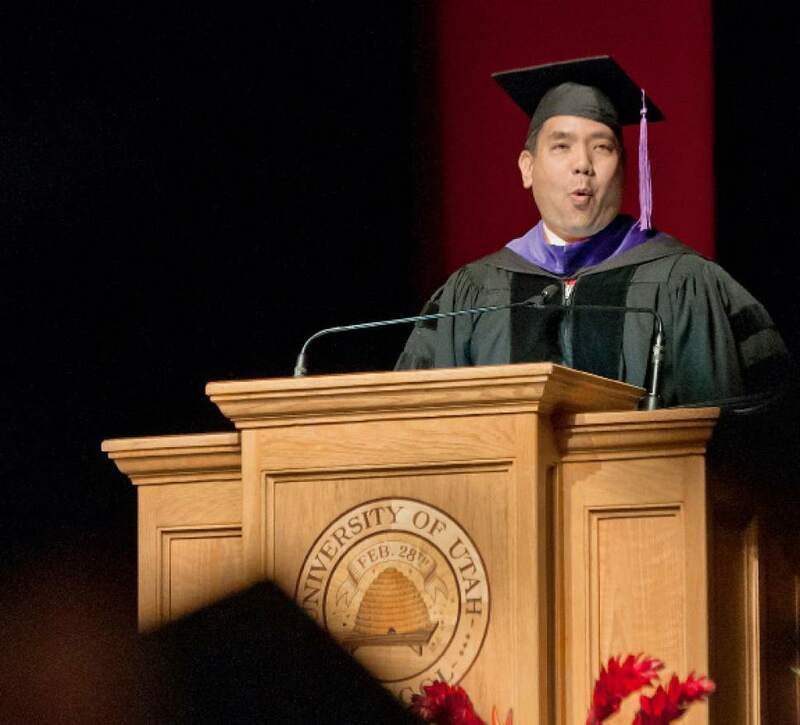 The ceremony&apos;s keynote speaker, Utah Attorney General Sean Reyes, advised the graduates to embrace their passions, serve their communities and "ignore the haters" ­ while offering personal anecdotes, nods to Star Wars&apos; Obi-Wan Kenobi and poets Robert Frost and William Shakespeare, and an inter-galactic paraphrase from John F. Kennedy. "I challenge you not to ask what others can do for you, but what you can do for your community, your state, your world, your star system or galaxy," Reyes said. "Be open and aware to personal inspiration and enlightenment and be committed and passionate."